Pittsburgh, PA (January 17, 2018) – With over 40 years of experience, Tom Ceponis is a licensed real estate broker and instructor with an extensive background in sales management, marketing, training, new home sales, and land development. He has been a part of the Senior Leadership Team at Howard Hanna for the past 30 years. Effective January 1, 2018, he was named President of the Pennsylvania Region and is responsible for the operation, profitability, and growth of Howard Hanna offices across the state. Previously, Ceponis was Sr. Vice President and Regional Manager of the northern metropolitan Pittsburgh offices. “Tom Ceponis has seen the company grow first-hand and he’s been a big part of it. With his vast real estate experience, I look forward to all that Tom will accomplish in his new position,” said Hanna, IV, President of Real Estate Brokerage. 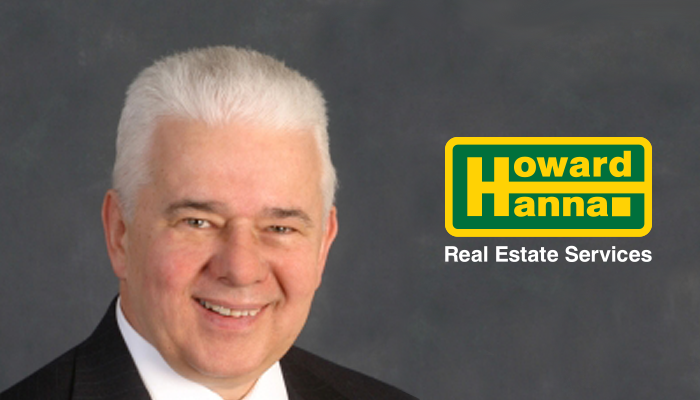 Howard Hanna Real Estate Services has 75 offices and more than 1,900 agents in Pennsylvania. He has been recognized as the “Outstanding Business Person” by Greater North Hills magazine and is active in the community, serving as Vice Chairman of the Indiana Township Planning Commission, and supports the annual Howard Hanna Children’s Free Care Fund campaign. Tom and his wife Sam have two children and two grandchildren. They reside in the North suburbs of Pittsburgh. He can be reached at 412-836-9001 or thomasceponis@howardhanna.com.